Sweet Harmony! 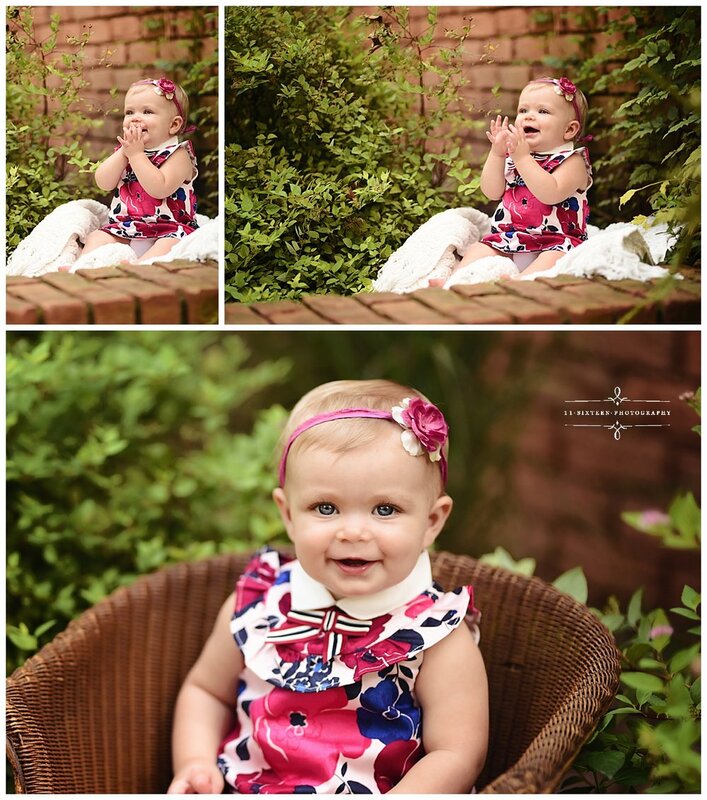 This beautiful baby girl looks like a Snow Princess in her floral cream dress and woodsy winter backdrop. These neutral shades with pops of shimmery gold give this session a Regal feel. 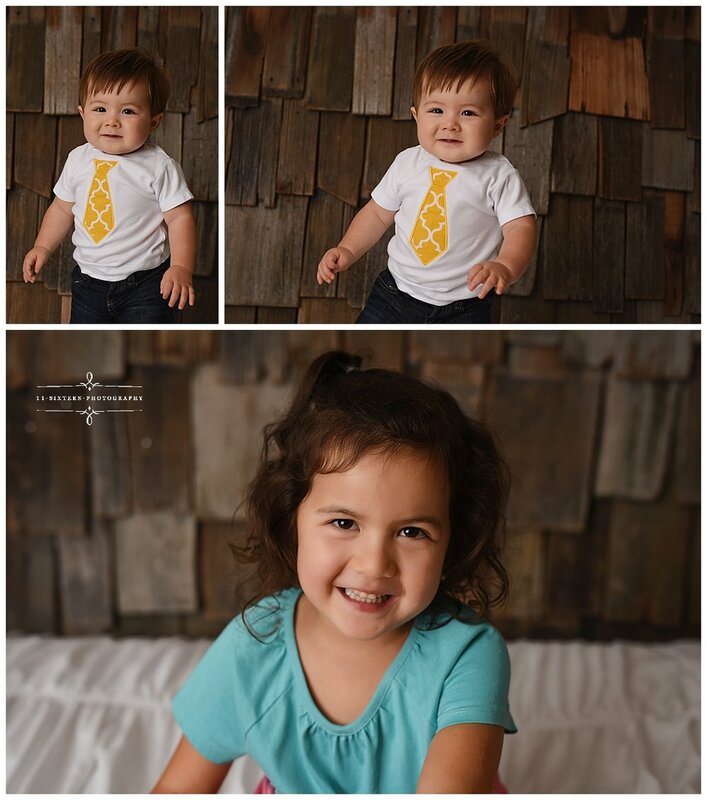 Miss Harmony has the sweetest smile and looks so relaxed for her session. I have a feeling her personality matches her namesake! 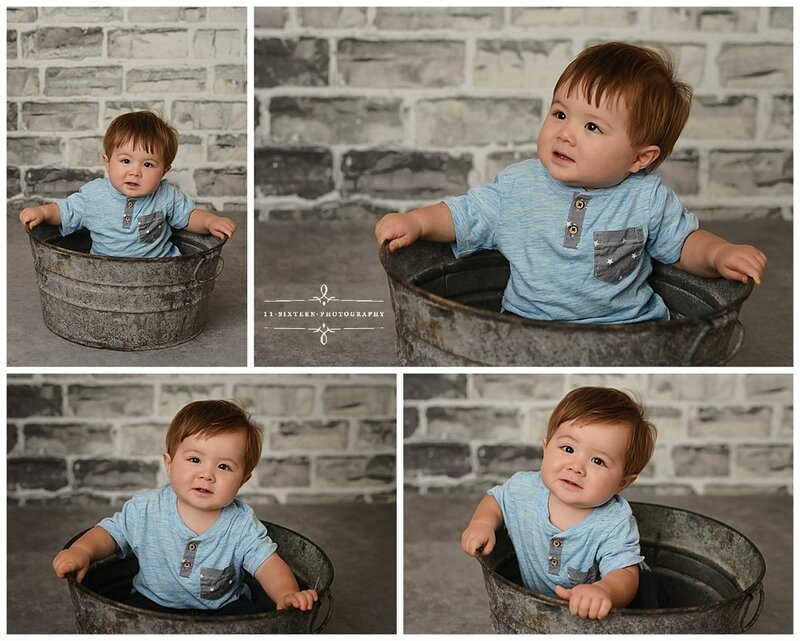 James came to the studio in December for Part 3 of the Baby’s First Year Program - the ever-popular Cake Smash Session! 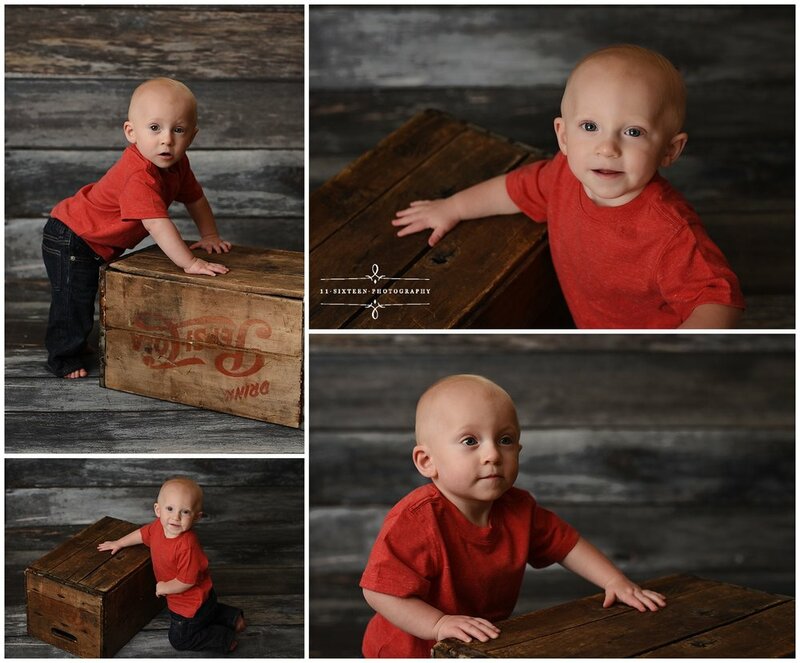 By taking advantage of this program, we were able to capture his most important first year milestones and provide Mom & Dad with a beautiful Keepsake 10”x10” album of all three photo sessions. 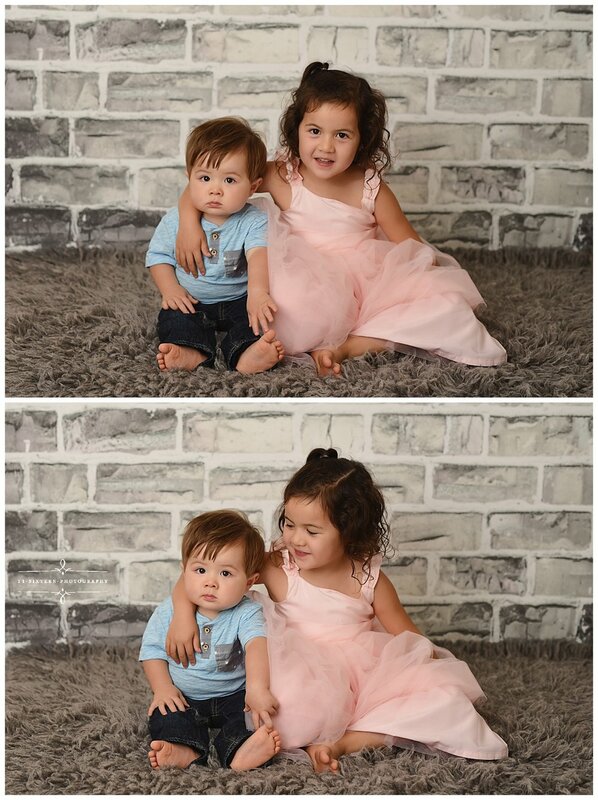 They also received one 16”x20” canvas for each session plus print credits! 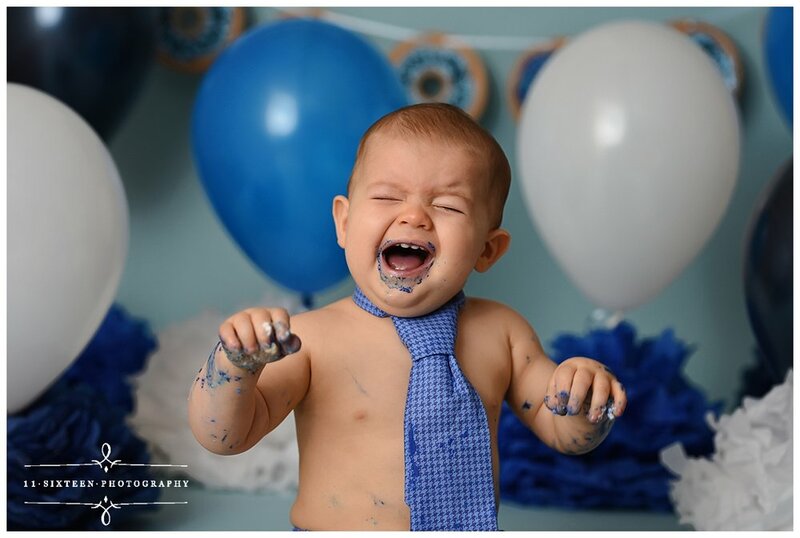 Kyle came in for a whale-themed cake smash session, and we love how these photos tell a story. As you can see, he is not quite sure what is happening yet and is very serious about it. Time to bring in the reinforcements: Big Sister can show Kyle what this cake is for. Aha! This is yummy, and we got a smile! Enough with the cake, let’s play with the balloons! I love this trio of photos! Always a great collage for the first birthday. Time to give Big Sister some of the spotlight. What a cutie. Makenna’s Tropical themed Cake Smash session is SO MUCH FUN. We are loving all the colors in her cake smash and especially those chinese lantern fish behind her. This palm leaf dress is precious! 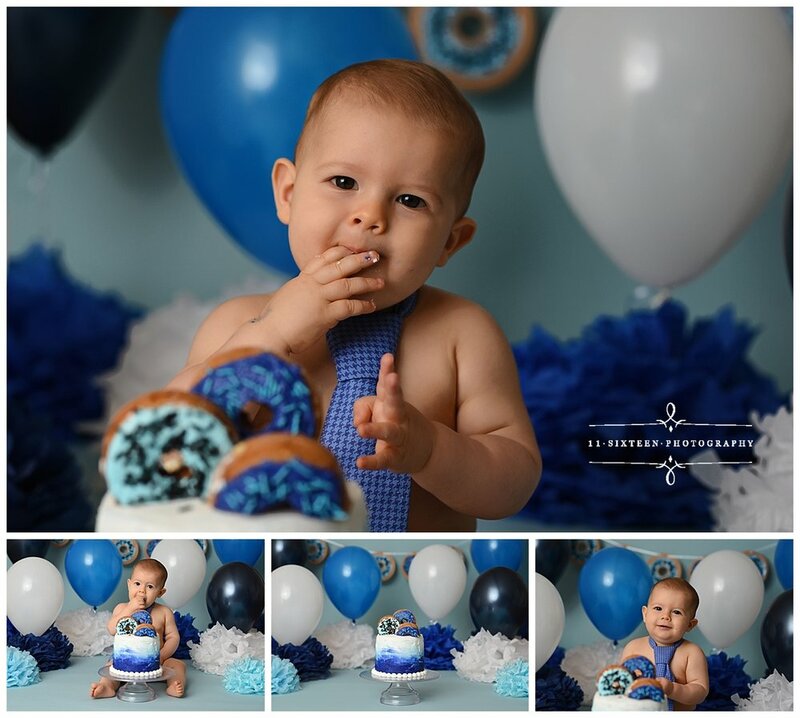 Lucas had so much fun at his Donut-Themed Cake Smash session in the studio! These blue sprinkle donuts were the inspiration for the decor behind him, including the custom-made-by-Kelly Donut Banner. Kelly puts so much thought into every detail of her sets. We need a caption for this photo! Lucas was really getting into this cake smash! 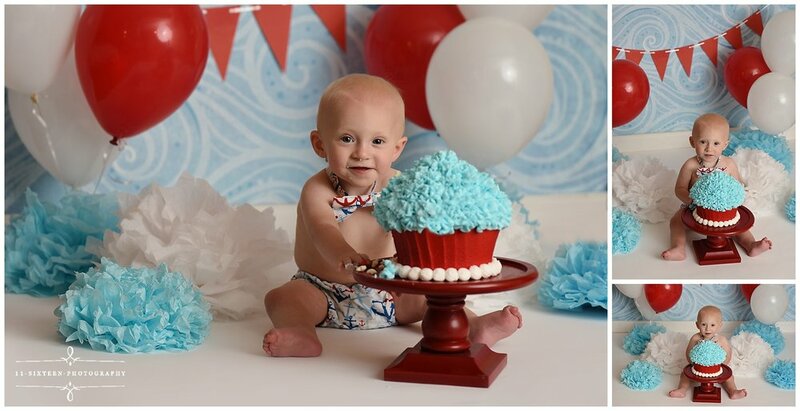 RJ had a Nautical-themed Cake Smash session in Red, White & Blue to match his cake smash outfit!